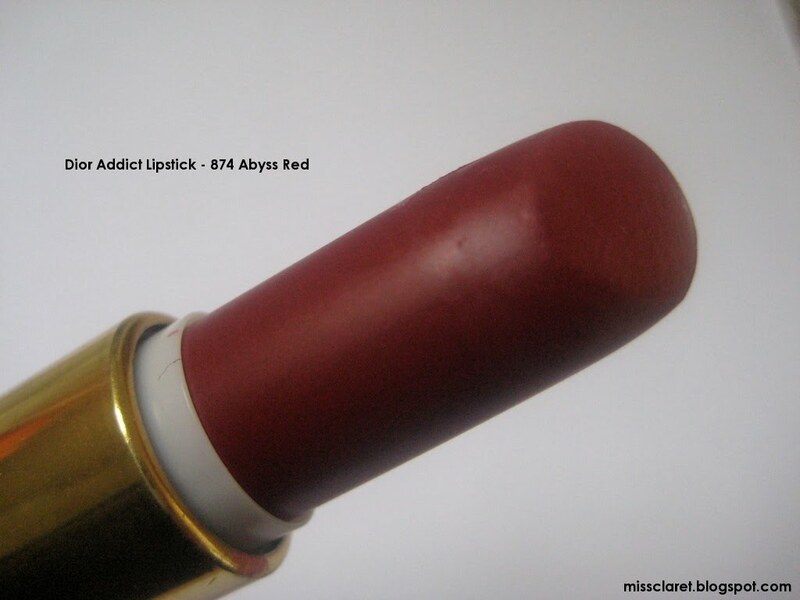 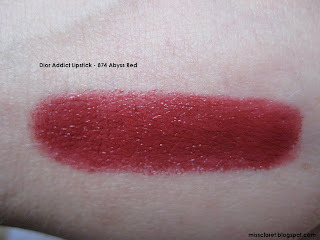 This week I rediscovered Dior's Addict Lipstick 874 Abyss Red. A deep blood red with lots of shine. 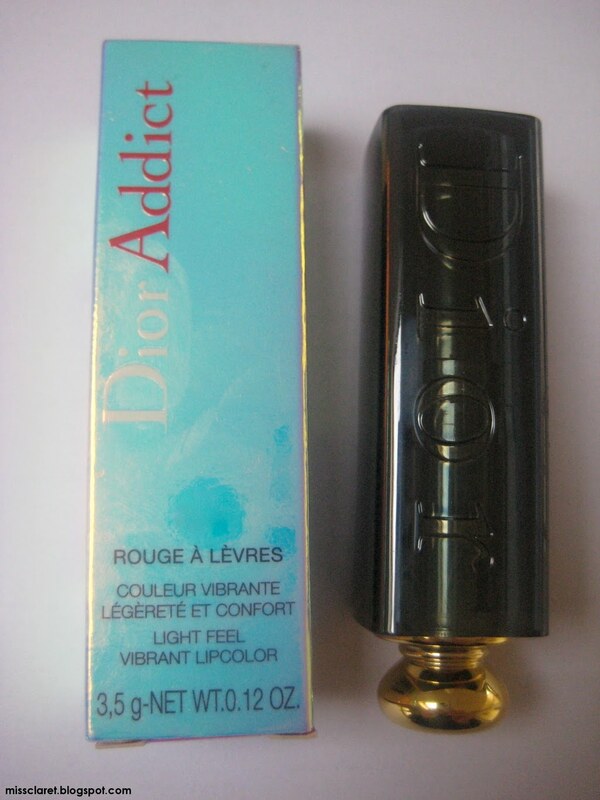 It is moisturising and comes with that very classic lipstick fragrance. 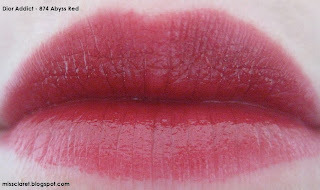 On the lips the shade reminds me of Ellis Faas's famous L101 Ellis Red - a blood red with little orange or pink tones.